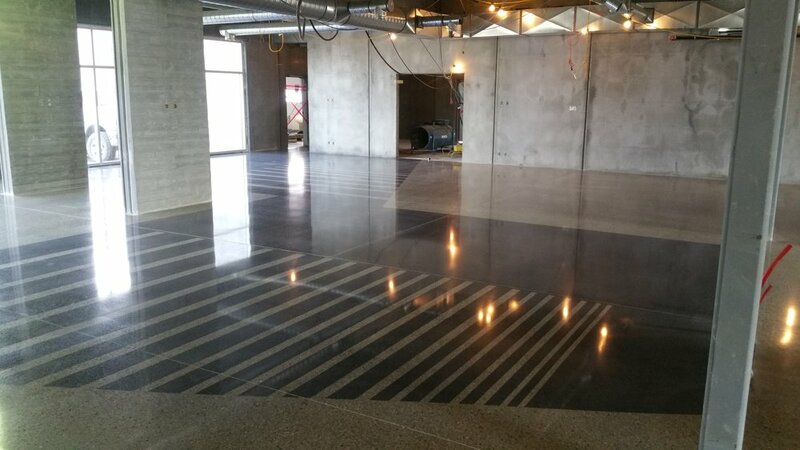 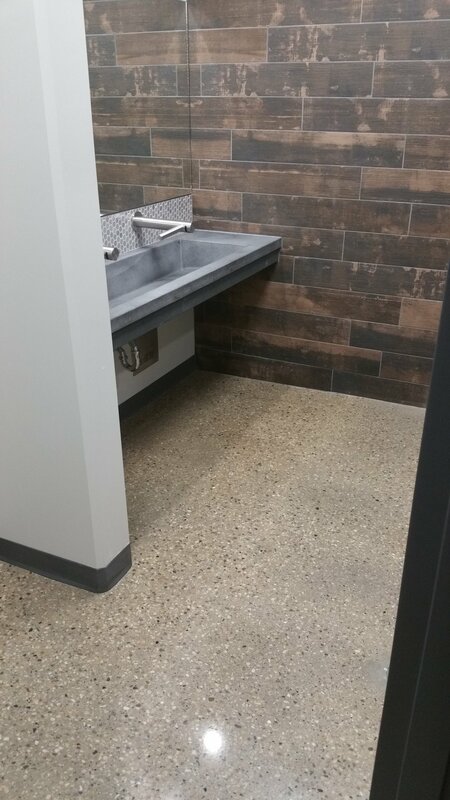 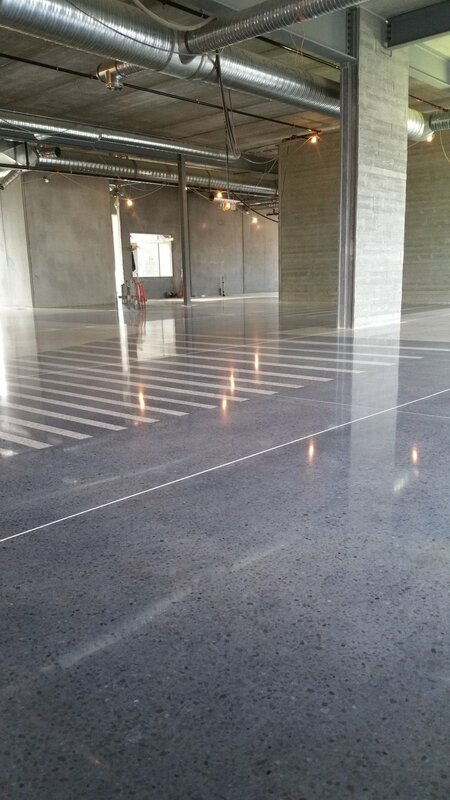 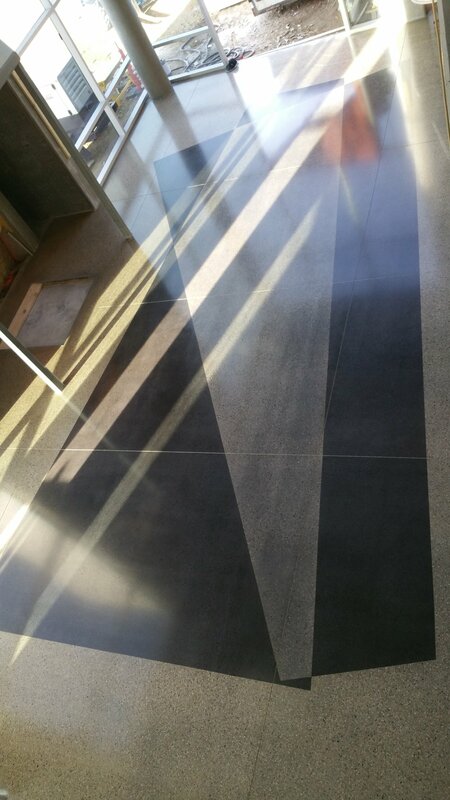 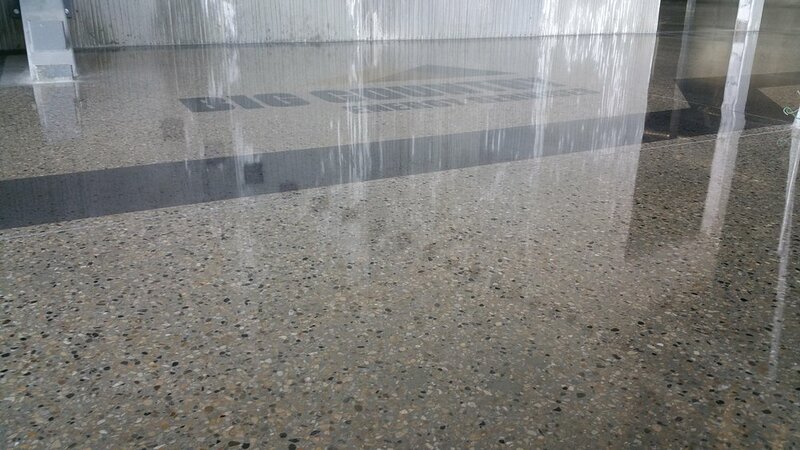 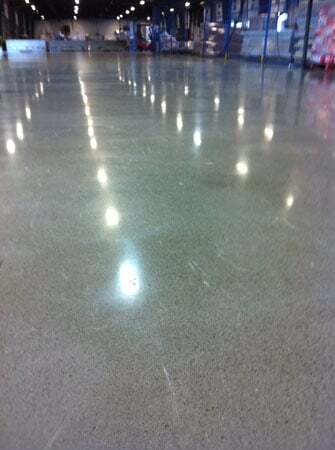 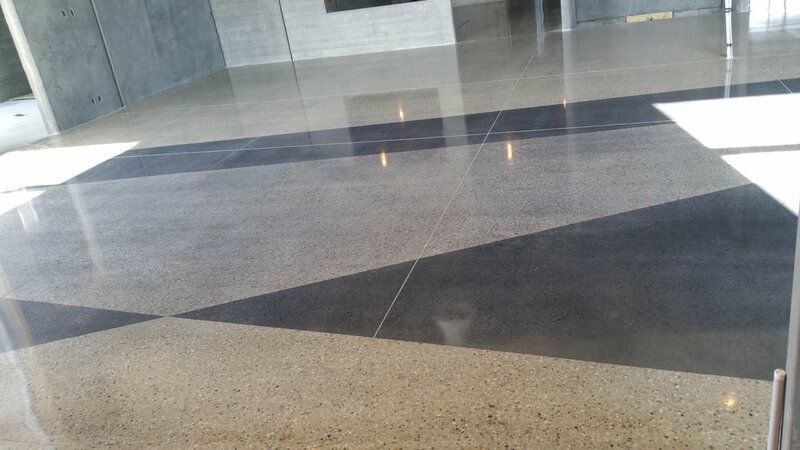 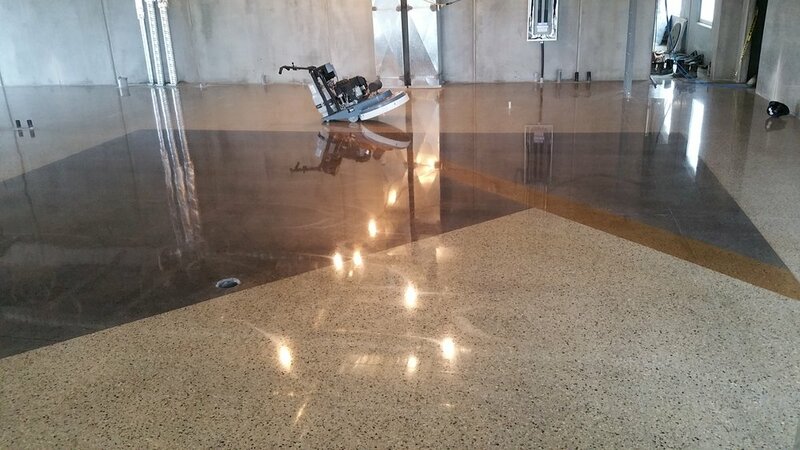 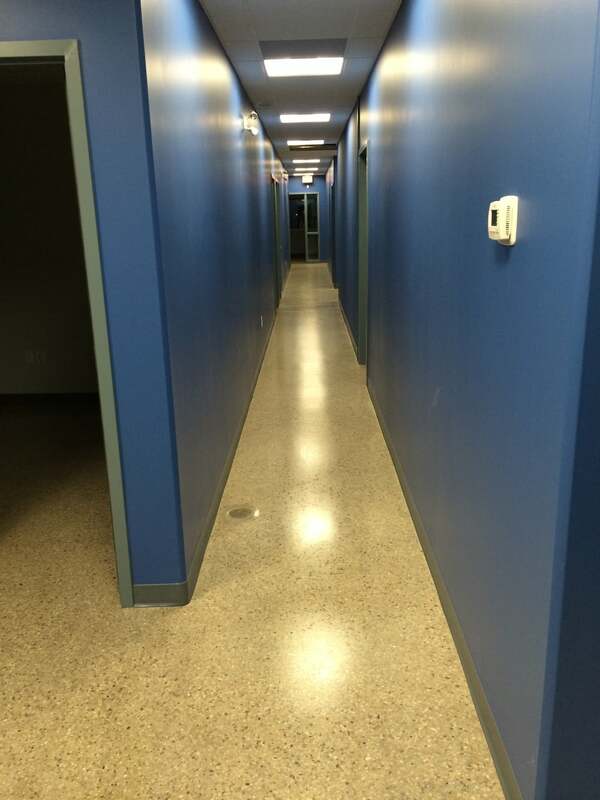 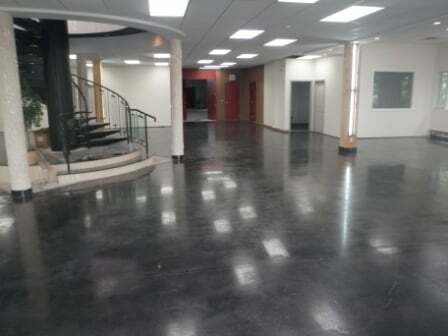 Polished concrete is an extremely durable, long lasting, virtually maintenance free flooring system. 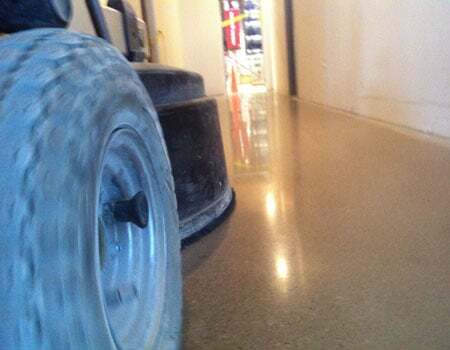 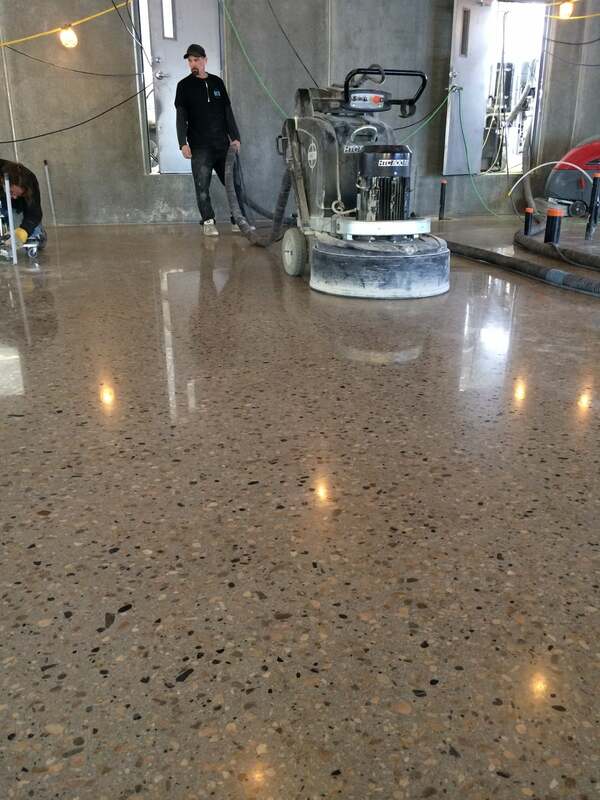 The process of polishing hardens the surface substantially by closing off the natural pores in concrete. 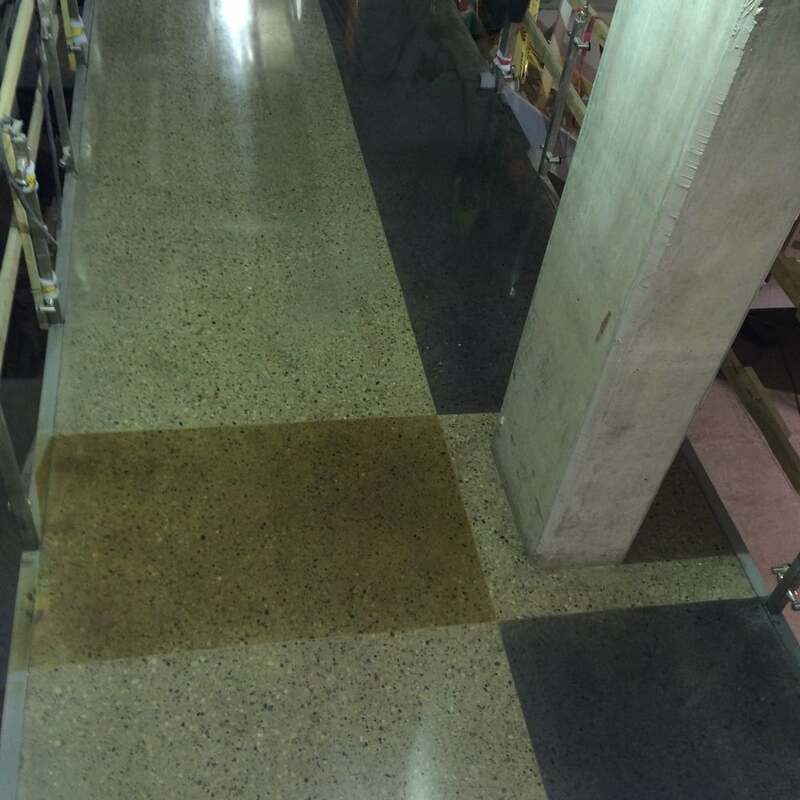 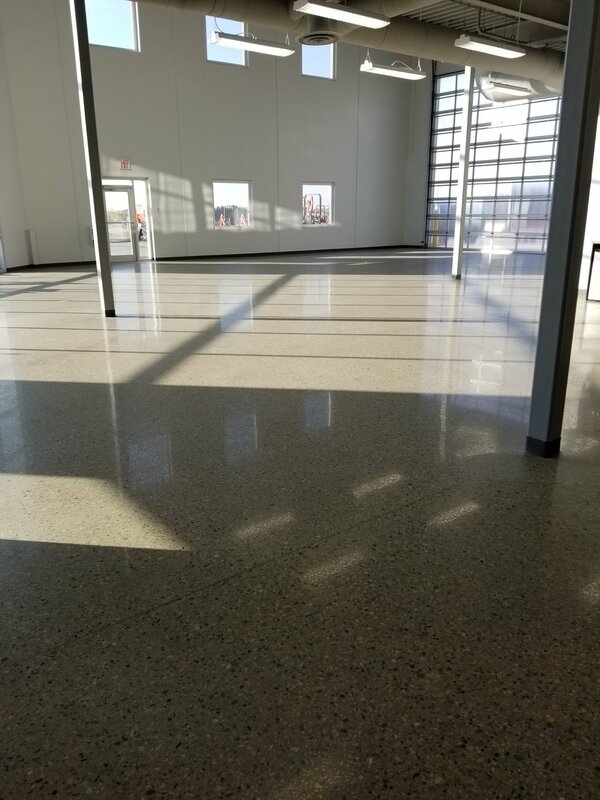 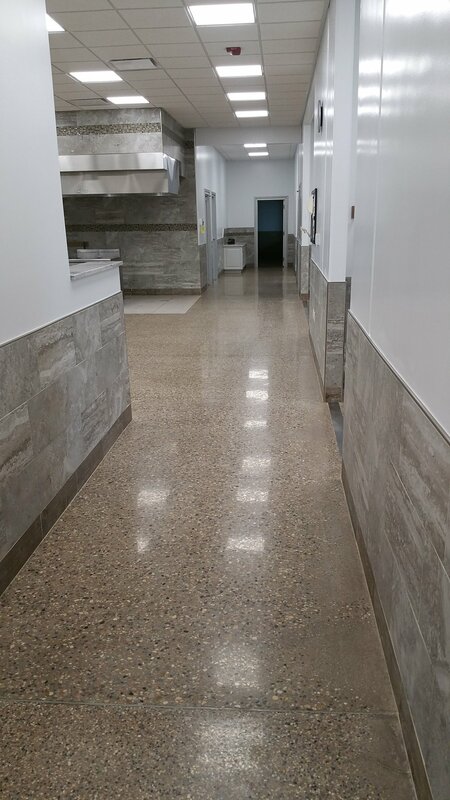 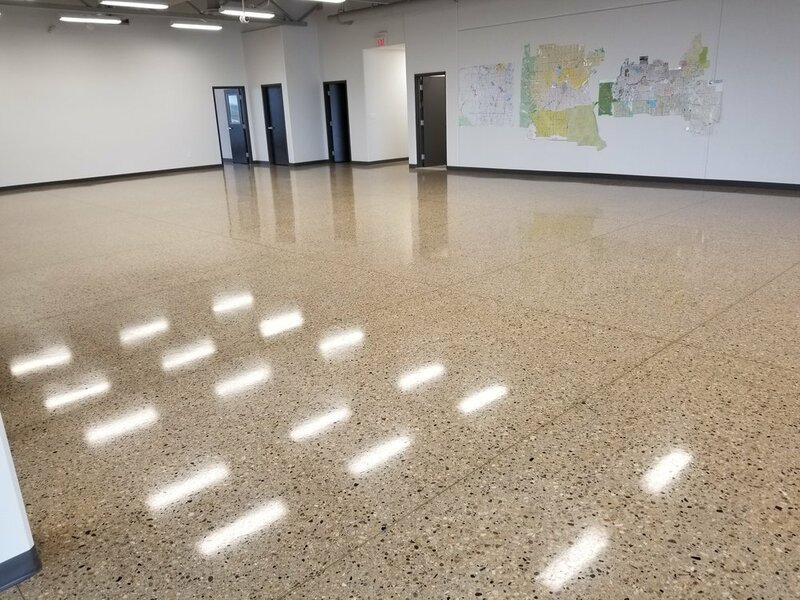 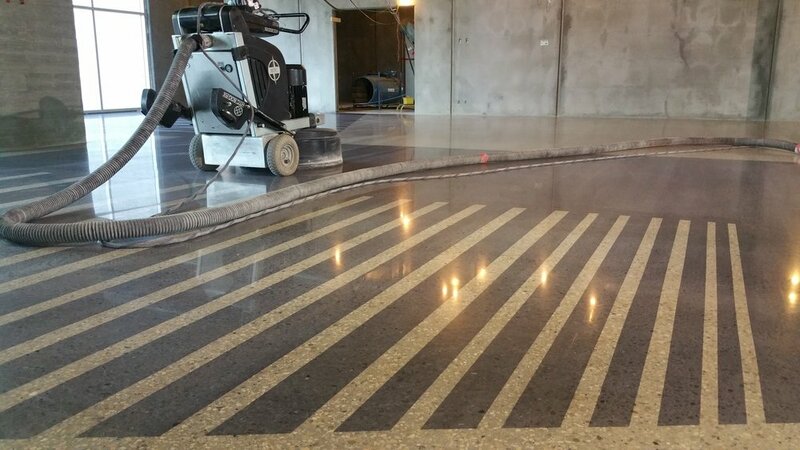 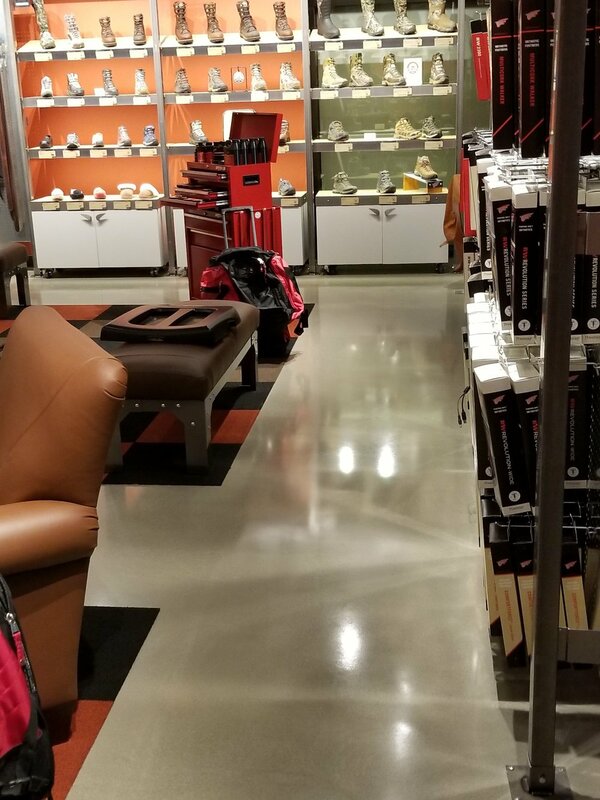 In combination with concrete densifiers and enhancers, polished concrete dramatically reduces dusting, pitting, staining, scaring and vehicle tire marks while offering a beautiful high gloss appearance. 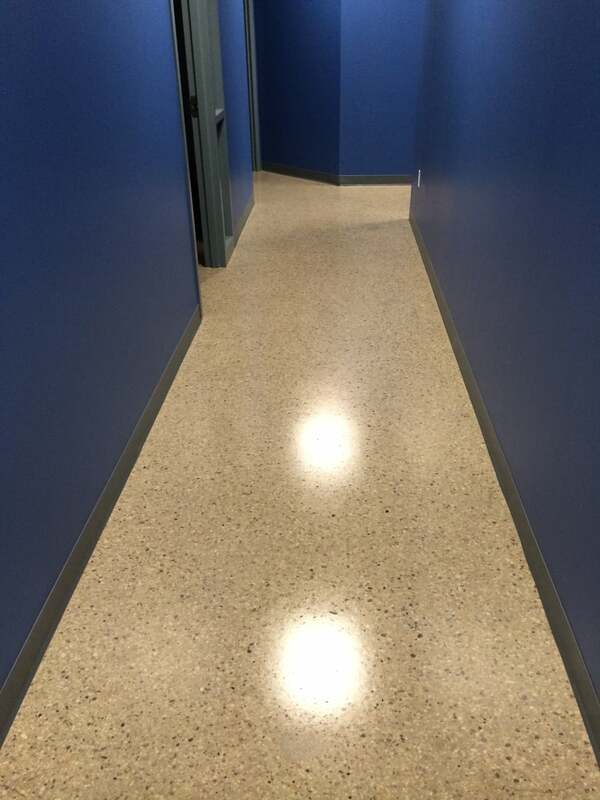 Polished concrete is also one of the most environmentally friendly flooring systems on the market and has almost no limit as to where it can be applied. 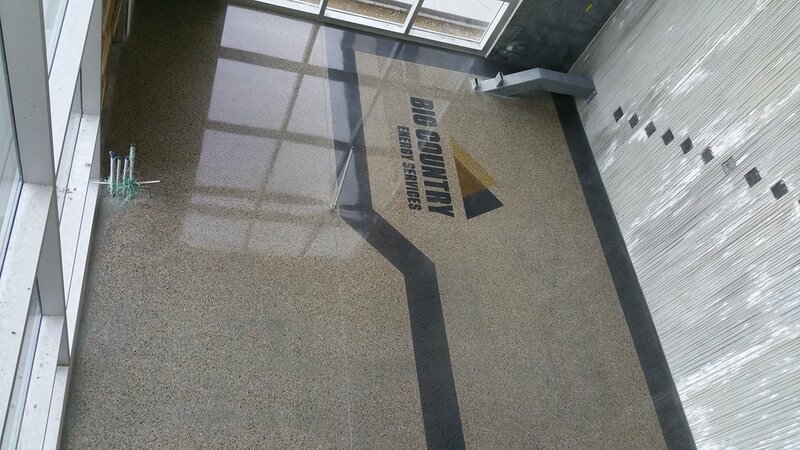 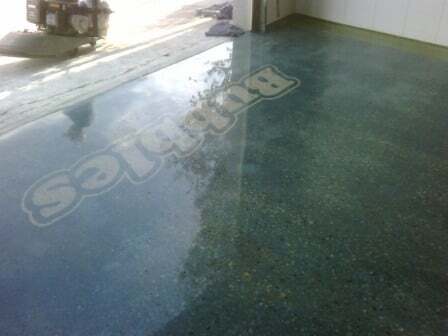 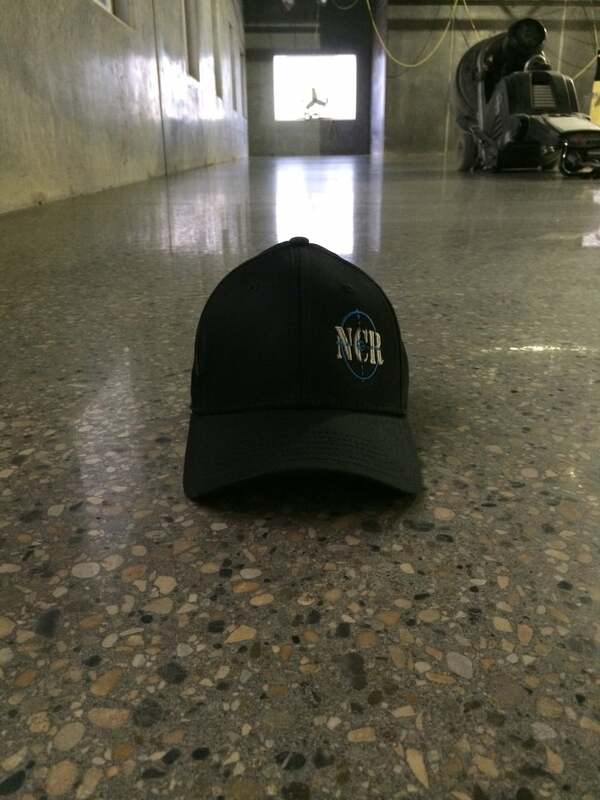 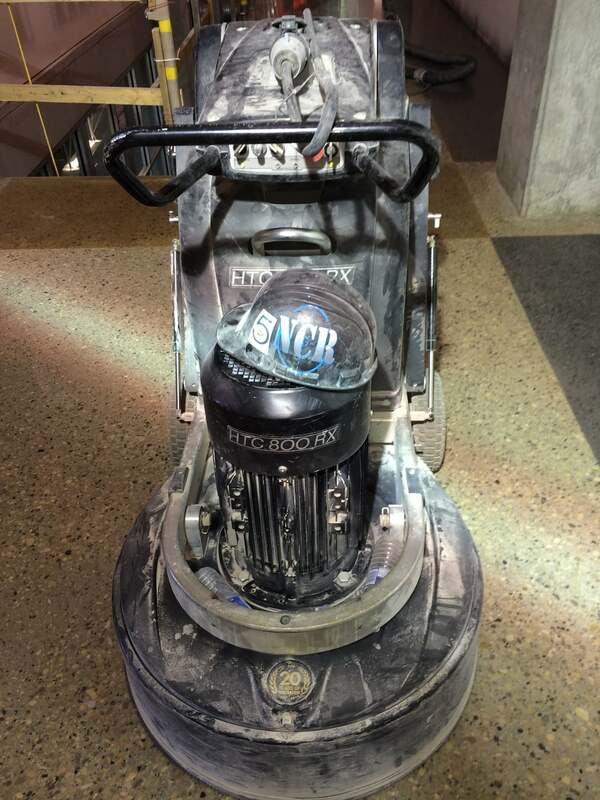 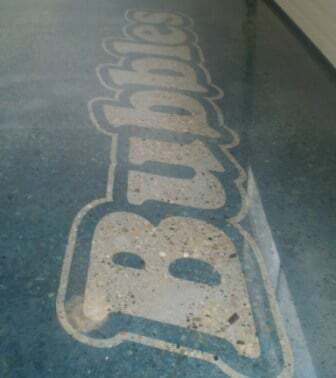 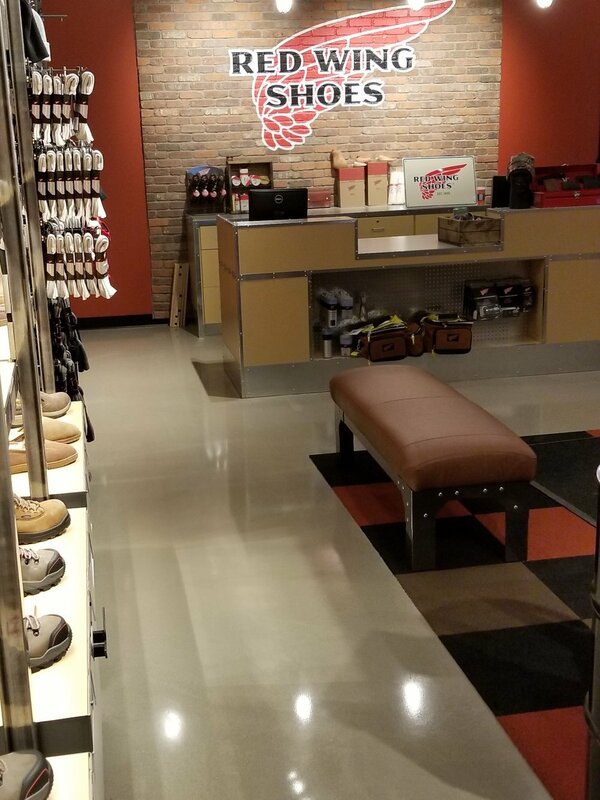 In Conjunction with polished concrete, color, logos and stencilling can be incorporated to create design possibilities. 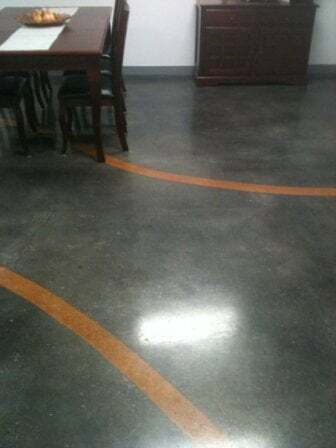 Introduction of color/design is ideal for restaurants, automotive showrooms, retail spaces, garages, etc.NCR is a certified installer for HTC Professional Floor Systems, W.R Meadows Induroshine Systems & Ameripolish Color Systems..
Polished Concrete greatly reduces dusting & the annual cost of forklift tire replacement by providing an extremely strong and smooth surface!